Well, we have been talking about starting the year off right, what about a healthy, good for you snack! i heart keenwah is naturally nutritious. It is made of Quinoa. 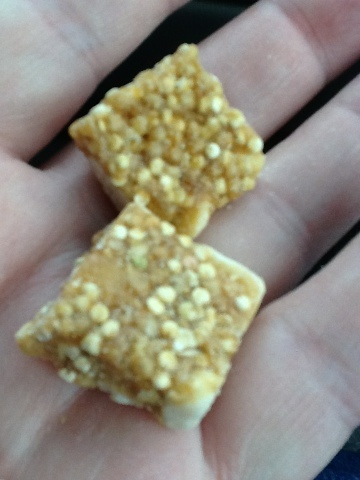 We received a sample of their Ginger Peanut. The family really likes it. We took it as a snack on a recent trip. The general consensus was that it had a peanutty flavor and was crunchy. My husband thinks they should make a chewy style. Quinoa is pronounced keen-wah. Hence the name i heart keenwah. 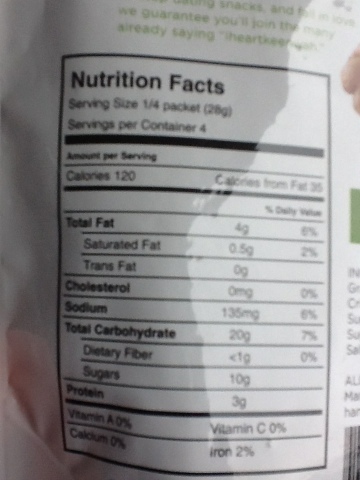 This snack food is gluten free. Quinoa is known by the Andean people of South America as the "mother of all grains" and is touted by experts as the only whole grain that's a complete source of protein-containing all nine essential amino acids. A delicious, filling snack! You might ask, "What other flavors does i heart keenwah come in?" 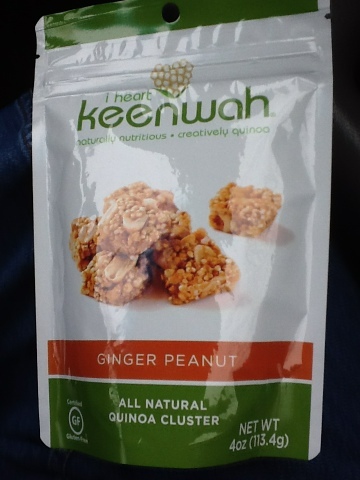 Other than the Ginger Peanut, you can find i heart keenwah in Almond, Cranberry Cashew, and Chocolate Sea Salt. So here is a snack you can feel good about eating. Start your year off right with i heart keenwah! iheartkeenwah was started by four friends: fiteh, ravi, sarah, and terah. after touring bolivia and learning about the versatility of an awesome little seed called quinoa, we returned home frustrated by the lack of ready-to-eat quinoa options. we decided to do something about it and got to work in the kitchen, mixing quinoa with other all-natural ingredients to craft a crunchy, sweet treat that satisfied our cravings. One neighbor will receive one large package of i heart keenwah! Disclosure:I received no monetary compensation for this post. I did receive samples of i heart keenwah for review purposes. All quotes in red are taken from the sponsor's email or website. All thoughts and opinions are mine. I would like to try the chocolate sea salt. I like quinoa because it's gluten free. :-) I think I'd like to try the chocolate sea salt! I'd love to try the chocolate sea salt. I'm a HUGE sweet and salty fan. Sounds like the perfect snack.